If you visit an old village showing homes from the 1800s and early 1900s, you’ll notice that certain homes obviously had more money than others by the way they were decorated. To have wallpaper, carpeting and/or decorative tiles in the old days meant the family was affluent. Today, we are fortunate that the majority of people can afford all of these things in their own homes if they want them. Hand painted ceramic tile art and murals go back centuries as one of the oldest art forms known to mankind. Carolyn Payne of Payne Creations in Kansas City has been creating beautiful decorative tiles since the 1980s and her work is seen in many places, from public shopping centers to, possibly, your neighbor’s house. What are some of the best places for decorative tiles? These days, it’s all about the kitchen backsplash. This is an area of the house that gets looked at, a lot, and most homes don’t have any decoration for their backsplash. Therefore, decorative tiles add some much needed ambiance to the room. Sure, you could go with store-bought tiles that all look the same, but there’s something special about hand painted tiles done by an artist specifically for you that makes what Payne Creations does especially unique. With your input, Carolyn can create a tile mural offering vibrant colored glazes with texture and detail to delight all those who see it. 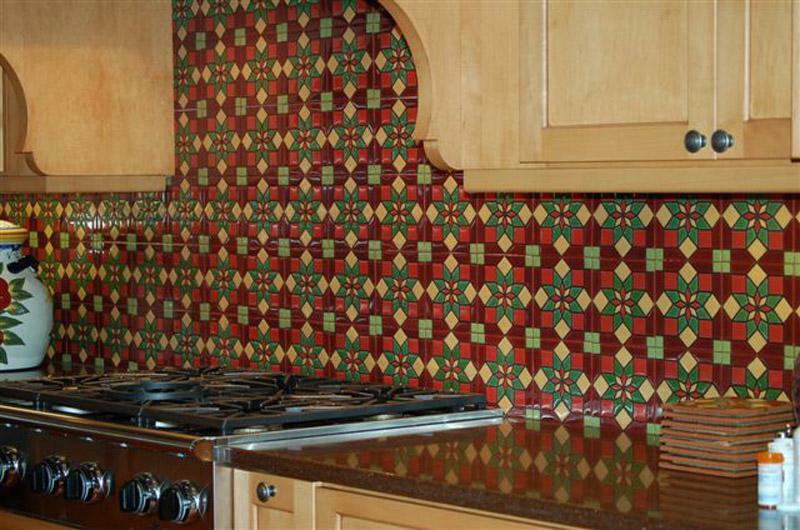 Her hand painted tiles can be shipped to your location with layout instructions for the installer. Meanwhile, decorative tiles can also be found in other rooms in a home. Bathrooms and living rooms are two places where they can be seen and enjoyed by many people. It’s not unusual for showers in bathrooms to include decorative tiles. They can also be placed around fireplaces in living rooms, highlighting what could otherwise be a somewhat dull and pedestrian fixture. 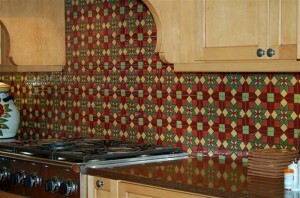 To discuss decorative tiles with Carolyn Payne of Payne Creations, please call 816-452-8660 today.